Choose from either a cream or grey lamp. 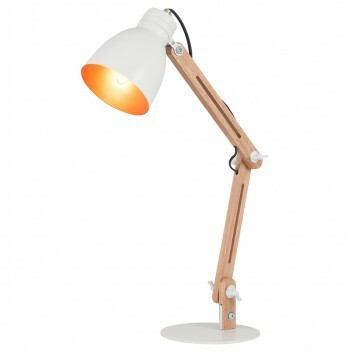 Ideal task lighting, contemporary style wood and metal lamps which can be adjusted and angled to suit the task. W 18cm x D 42cm x H 60cm. SES golf ball style 8W CFL bulb recommended by manufacturer. Please click on the photos to see alternative and larger photos and colourways.